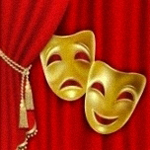 The Theatre Group is available to all Valley Club members, their spouses, friends and family members. We will be attending Sunday matinees at the Scripps Ranch Theatre, 9783 Avenue of Nations, Alliant International University. Participants are responsible for their own transportation. Our theatre season is September to June.